Davie pet owners…microchipping your pet is one of the best ways to ensure that you and your pet will be reunited if he or she gets lost or injured away from home. 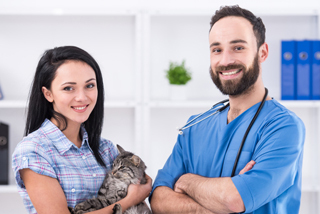 Having a microchip ID implanted in your pet is an inexpensive way to let animal control, rescue shelters and veterinarians know who to call if your pet winds up in their care. The microchip is a small device that is encoded with a unique number that can be used to identify your pet and you as the owner. The chip is injected between the animal's shoulders in much the same way a shot is administered. It's a quick, almost no pain, one time process that prevents your dog from having an "identity crisis" should he or she ever wander from home. Here is how it works. 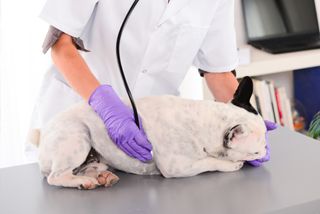 Once the chip has been implanted, the owner registers the dog's name and owner's name and contact information with the company that manufacturers the chip. 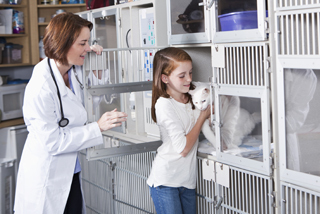 At DPC Veterinary Hospital that company is HomeAgain which we feel offers the best value and most comprehensive and useful service. If your pet becomes lost and ends up at a shelter or vet, a quick scan of its shoulders will reveal the chip and the ID number. A quick check of HomeAgain's database will reveal the pet's name and the owner's contact info. At DPC we are open 7 days per week and we can provide microchipping service on a walk in or appointment basis. Our technician can administer the chip and our front office staff will assist you in registering the pet right in the office. 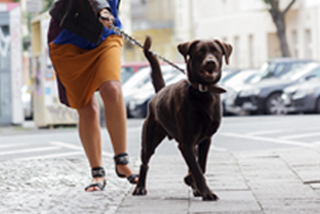 Don't wait to have this important safety feature implanted in your pet. Call or visit us in Davie today.